This clock is moving itself, to show how fast time’s moving. 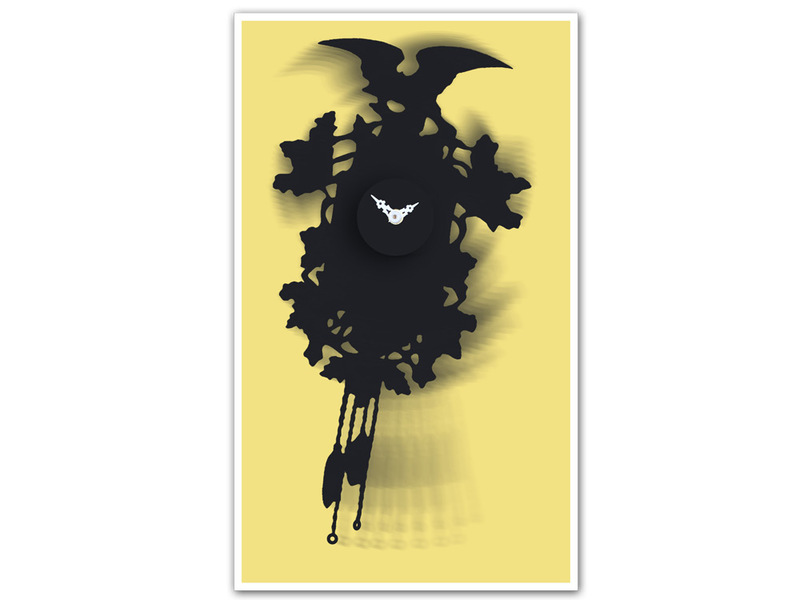 Wall-clock Weeble is the silhouette of a cuckoo clock, cut out of a piece of plastic and connected to the pendulum mechanism of a quartz clockwork. The actually dial plate doesn’t move.